This Frequently Asked Questions page contains answers to the most common questions our students have about the online DADAP course, but if you still can't find an answer to your question on our website, please contact us. Our friendly and professional customer service staff have years of experience assisting DADAP customers. Is this online course State of Texas approved? Yes. The Drug and Alcohol Driving Awareness Program being offered through DADAPOnline.com is fully approved by the Texas Department of Licensing and Regulation and formerly by the Texas Education Agency (TEA). This means that courts have the option to accept DADAP for various alcohol and drug offenses. However, since judges and courts have discretion over what is or is not acceptable, we always recommend that you contact the court prior to registration to verify eligibility and specific course options. Please click here to view the DADAP approval certificate for DADAPonline.com (clicking link opens a new window). What alcohol offenses can I take DADAP for? Recent modifications changed Section 106.115 of the Alcohol and Beverage Code to read as follows: "On the placement of a minor on deferred disposition for an offense under Section 49.02, Penal Code, or under Section 106.02, 106.025, 106.04, 106.041, 106.05, 106.07, the court shall require the defendant to attend an alcohol awareness program approved by the Department of State Health Services under this section, a drug education program approved by the Department of State Health Services in accordance with Section 521.374, Transportation Code, or a drug and alcohol driving awareness program approved by the Texas Education Agency. *"
*Although the law still references the Texas Education Agency, the current approval authority is with the Texas Department of Licensing and Regulation. We recommend that you contact the court prior to registration to verify eligibility and acceptable course options. How long is the online DADAP course? State rule requires that online DADAP courses must be completed in a minimum of six hours. Each page has a time requirement based on the amount of material on the page to ensure the student spends the required amount of time within the course. However, students are allowed to spend more than six hours in the course if they wish. You must complete the course within 180 days from your date of registration. After 180 days, your course access will be suspended. The risks associated with alcohol and other drug use / abuse and the problems associated with such use. Information on the physiological and psychological effects of alcohol and drugs. The legal aspects of alcohol and drug use. The effects of alcohol and drugs on the driving task. If you successfully complete the course on any business day (Monday through Friday, excluding holidays), your State-approved certificate of completion will be processed and sent out from our office via your requested shipping method on the same day. If you complete the course after 3 PM on a business day, or on a weekend or holiday, your certificate will be processed and sent out on the following business day. If you selected free ground shipping, you should receive your certificate within 5-7 business days from the date you complete the course. If you have not received your certificate within 7 days on a ground shipment or on the date expected, please call customer support at 1-800-558-9887. Express Delivery Options – You may select an express delivery option during course registration or by calling 1-800-558-9887 immediately following course completion. What do I need to do with my certificate of completion? If you have received permission from the court to complete a drug and alcohol driving awareness program (DADAP) for a particular alcohol or drug-related offense, you will receive a certificate of completion that indicates your reason for taking the course and lists the name of the court handling your case. We recommend that you hand deliver the certificate to the court. If hand delivery is not feasible, we recommend sending the certificate via certified mail to ensure that your certificate is not lost. If you are taking the course for insurance discount purposes, we recommend that you contact your insurance carrier / agent to determine their required method of receiving a copy of the certificate of completion. Most often you will need to mail, fax, or hand deliver a copy of the certificate of completion directly to your agent. What is the mailing address for payment? If you are mailing your payment to us, please be aware that we will not be able to provide you with access to the course until we receive and process your payment, therefore you should allow several days before being given notification that you can begin to access the course. This notification will come via email. Please include your login code on your payment. If you would like immediate access to the course, we recommend using our secure online credit card payment option. We accept Visa, MasterCard, American Express, and Discover. Phone payments can also be made by calling 1-800-558-9887. What should I do if I lose or forget my login code? When you register for the course, our system will generate a login code for you (EXAMPLE: john123456dp). You can use this login code to enter the course from the course login area. When you register for the course, we will automatically send you an e-mail that contains your login code. If you happen to lose or forget your login code, you can get it from the e-mail sent to you at registration. If you cannot find this e-mail, you can go to the course login area, enter your e-mail address, and your login code will be e-mailed to you again. If you are still unable to log back into the course, please call our technical support line at 1-800-558-9887. Can I change my registration information after I have registered for the course? For security reasons, we do not allow students to change their registration information after the registration process has been completed without the assistance of our customer service team. We ask that you carefully and accurately enter all registration information in order to avoid any inconvenience that might be caused for you as the result of data that has been entered erroneously. If you have already completed the registration process and discover that you need to change your personal information, please contact us at 1-800-558-9887 and we will assist you. What if I decide to quit the course and / or I would like a refund? If you wish to quit the course prior to completion or inquire about a refund, please contact our customer service department at 1-800-558-9887. Can I take the course from anywhere? The good news is that since the course is available online, you can complete it from any location and using any device with access to the Internet! You can log into and out of the course whenever you wish and you will not even need to leave the security and convenience of your home, office, or wi-fi hotspot. Although you can take the course anywhere, your completion certificate will need to be shown to the appropriate authority, such as the court that directed you to attend the course, on or before your court-specified completion date. We recommend that you make a copy of your signed certificate and hand deliver it to the court clerk�s office so that there is no risk of the certificate being lost or misplaced. Otherwise, you can mail your certificate to the court, in which case we suggest sending it certified mail with a return receipt requested. Using this method will assist you in determining who accepted your certificate and the exact date that it was received by the court. How do I move from one page to another in the course? The course material is presented sequentially, therefore you will need to begin with the first unit and work through each successive unit. Each page contains an internal timer that must count down to zero before you can progress to the next page. Note: Some students read faster than others! If you reach the end of a page and attempt to move to the next page in the course before the timer runs down to zero, the course will tell you how much time you have left to spend on that page. You would then click to go back to the page you just left and finish out the remaining time. Once you have completed a page, you can always go back to it by clicking on the page number, which is found in the "Jump to Page" link located at the bottom of each page of the course. By clicking on the links marked "Main Menu," you can access the course menu. From this page, you can return to any units that have been completed previously. Does the course have to be completed in one sitting? No, you can spend as much time on the course as you wish. Because you receive a unique login code when you register for the course, you will be able to access the course from any computer that allows you to browse the Internet. Your course progress is updated automatically after you complete each page of the course, therefore you will be able to log out of the course at one computer and pick up where you left off at another computer. If you wish to leave the course at any time, simply log out, and log in again when you are ready to resume your work. However, if you leave a page idle for longer than 15 minutes, the course will require you to login again and start the current page over again. You can spend hours, days, or even weeks on the course, but we recommend that you complete the course in a reasonable amount of time if you must meet a court-imposed deadline date. During what hours is customer service available? We have customer service representatives available to you 24 hours a day, 7 days a week. For assistance, please call 1-800-558-9887. Is this course approved for an insurance discount benefit in the state of Texas? Yes. Many insurance providers offer an insurance discount for completing the Drug and Alcohol Driving Awareness Program (DADAP). We advise you to contact your insurance agent to determine their procedures and your eligibility for the discount prior to participation. Can this course be taken for continuing ed credits? Texas driver education instructors who are NOT also licensed DADAP instructors can take the online DADAP course to earn the required continuing education credits that are needed for driver ed recertification. This can be done once every three years. Click "REGISTER NOW" to sign up for the Texas DADAP course. 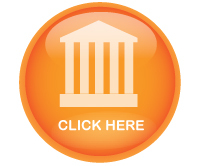 Click the orange button to learn how the DADAP course can benefit individuals charged with certain alcohol and drug related offenses. Our online DADAP course is 100% state approved by the TDLR.